Stop reading right now if you haven't seen A Star Is Born because there are major spoilers coming. 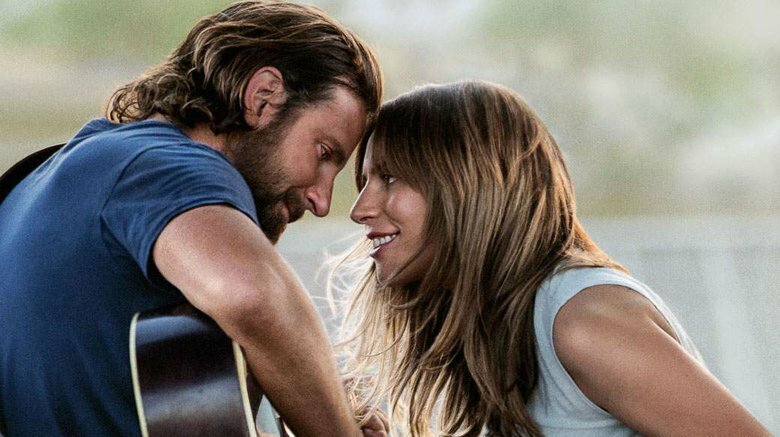 The movie stars Lady Gaga as Ally, a drag bar waitress with music dreams and Bradley Cooper as Jackson Maine, a rock star who discovers Ally performing "La Vie En Rose." Enchanted by her voice, they bond for hours over their insecurities before he drops her off at home and infamously tells her, "I just want to take another look at you." Afterward, Jackson essentially stalks Ally into submission. He flies her out on a private jet to come to one of his shows, where he convinces her to take the stage and sing "Shallow" with him. It's the beginning of a beautiful but tortured love affair. Self-medicating to escape a traumatic childhood and to cope with career-threatening tinnitus leads Jackson to full-blown addiction. As Ally's success eclipses his own, the couple suffers a lot of ups and downs leading up to an impromptu wedding. As Ally becomes a pop star, her manager, Rez, leads her away from her husband's rock influence. Jackson resents her for that, his demons intensify, he humiliates her at the Grammys, and then finally goes to rehab. They iron out their issues, but after Jackson completes treatment, Rez tells him he's a hindrance to his wife's stardom. Wracked with guilt, Jackson relapses and ends his life — and Ally comes into her own as a superstar. Now that you're sobbing, let's break all of this down in greater detail. 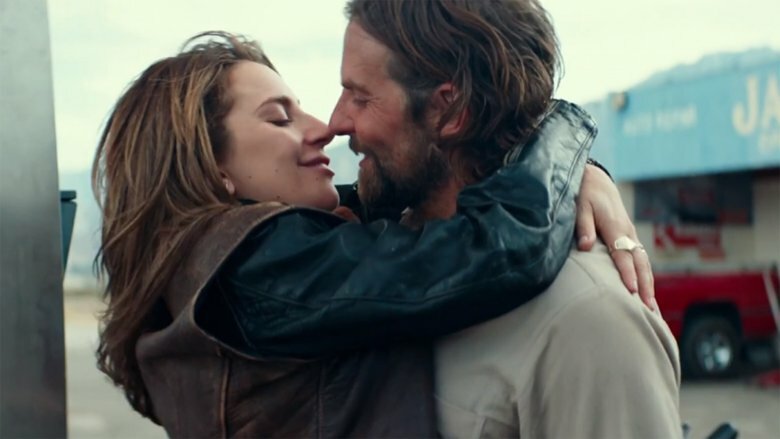 In previous versions of A Star Is Born, the male lead succumbs not necessarily to his addictions, but to his envy of the budding starlet. "The 1937 and 1954 versions show Norman Maine fatefully walking into the surf and drowning. In the 1976 movie, Kristofferson's John Norman Howard dies in a reckless high-speed car crash," reports USA Today. In the 2018 version, Jackson and Ally work out their jealousy problems and unlike the '76 version, where Barbra Streisand's Esther catches Kris Kristofferson's John in bed with a journalist, the new film never casts Jackson as a cheater. Instead, he's portrayed as a man who begins self-medicating to cope with a traumatic childhood and with tinnitus — a condition which hampers his career. Cooper has underscored his character's demons, telling FilmStruck that the awful scene at the Grammy Awards was "one of the first scenes that I thought about" when making the movie. Jack "has no desire to hijack her speech. He actually is operating out of a place of support but he is so struck by his inability to have grown since that 13-year-old trauma." When Jackson dies by suicide, he does so by hanging himself — the same way celebrities such as musicians Chris Cornell and Chester Bennington, celebrity chef Anthony Bourdain, and famed designer Kate Spade did in recent years. 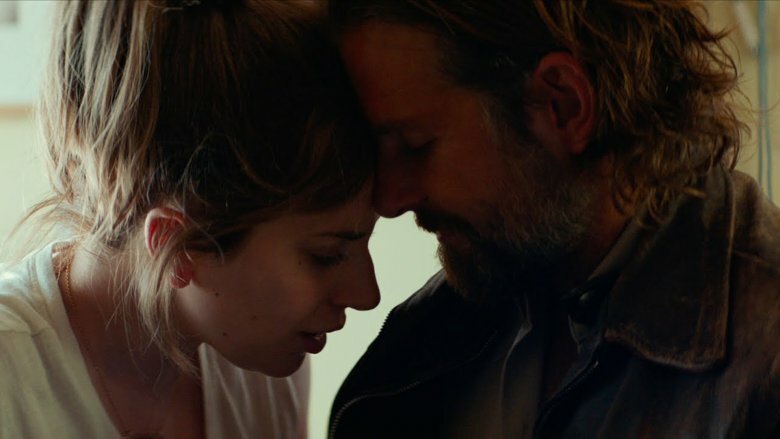 Kita S. Curry, CEO of Didi Hirsch Mental Health Services, told USA Today that 2018's A Star Is Born was a powerful showcase of the struggles of addiction and mental illness, as well as of the warning signs that can lead up to suicide. "It thoughtfully shows what leads someone to this, and I cried at the end," Curry said. "I just wish the method hadn't been so clearly conveyed to people. And it's a method that's on the rise. But they spare people the trauma of seeing the act of suicide." The aforementioned content may be distressing or triggering to some viewers. 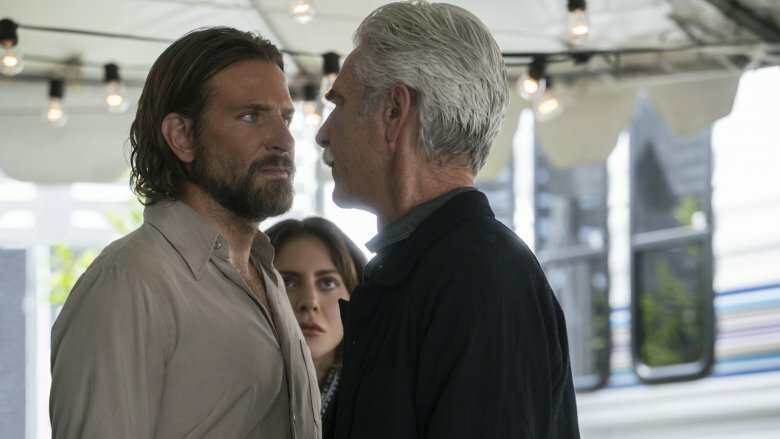 Unless you're familiar with previous versions of A Star Is Born, you may have missed some subtle clues about Jackson's fate. In the beginning of the movie, Jackson drops Ally off at home for the first time and tells her, "I just want to take another look at you." That line went viral from the 2018 trailer alone, but those famous words were inspired by past versions of the movie. In the earlier films, Jackson utters those words before leaving Ally for what becomes the last time. A suicide by hanging is also foreshadowed in the 2018 film when Jackson speaks to a counselor, revealing that he once tried to hang himself from a ceiling fan when he was younger, but failed when the entire fan crashed down. In another scene at the beginning of the movie, "Jackson and his driver pass a rainbow billboard that's covered in nooses — a not-so-subtle reference to Jackson's death by suicide," reported Glamour. Lastly, brace yourself for another big cry. Remember when Ally visits Jackson in rehab and tells him that their puppy sits in front of the door and "waits for daddy to come home?" When Jackson ends his life, their puppy sits in front of the door waiting for him — and is seen still doing so later as Ally mourns. Ally's manager, Rez, tells a fresh-out-of-rehab Jackson that he will be nothing but a hindrance to his wife's career because of his addiction. Rez also tells Jackson in no uncertain terms that he will relapse again. When Rez refuses to let Ally take Jackson on tour with her, she cancels the whole thing, but she doesn't tell Jackson why she bailed on her performances. She doesn't know that Jackson already knows the real reason. Rez has a role in creating a self-fulfilling prophecy. Jackson's guilt over the canceled tour and a belief triggers the relapse that ends his life. 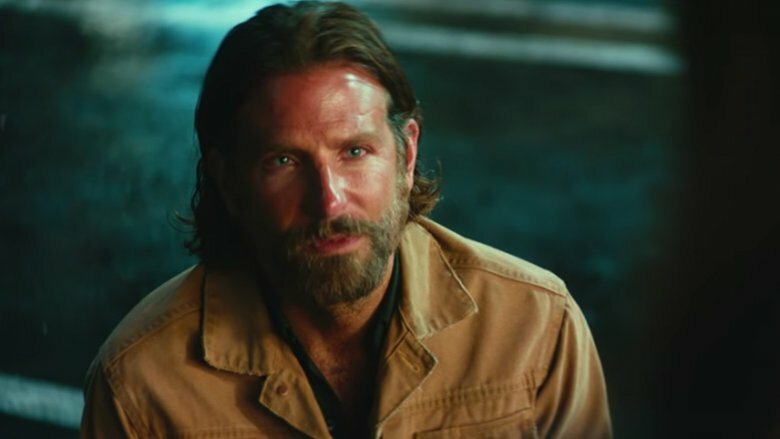 In the 2018 film, Jackson says he took his father's voice – a line Bradley Cooper says was inspired by a line in Bruce Springsteen's autobiography. Jackson reveals early in the movie that he was orphaned at a young age, so his older brother, Bobby (played by Sam Elliott), raises him. Shortly before ending his life, Jackson apologizes to Bobby for their decades-long problems, most of which he blames on himself and his substance abuse. In that moment, Jackson also tells Bobby that he took his voice, acknowledging that Bobby is the only father figure he recognizes. Interestingly, Cooper did, in fact, take Elliott's voice. "He did establish the voice before Sam Elliott was going to be in the movie, and then he had to go convince Sam Elliott to be in the movie," producer Lynette Howell Taylor told USA Today. As Elliott tell is: "I went to meet Bradley in his home, I'd never met him before. I spent a couple hours there talking with him and one of the things he did while I was there, he played this tape of him and his voice coach. And he was sounding a lot like me. I didn't have any tips at all, he already had it down." 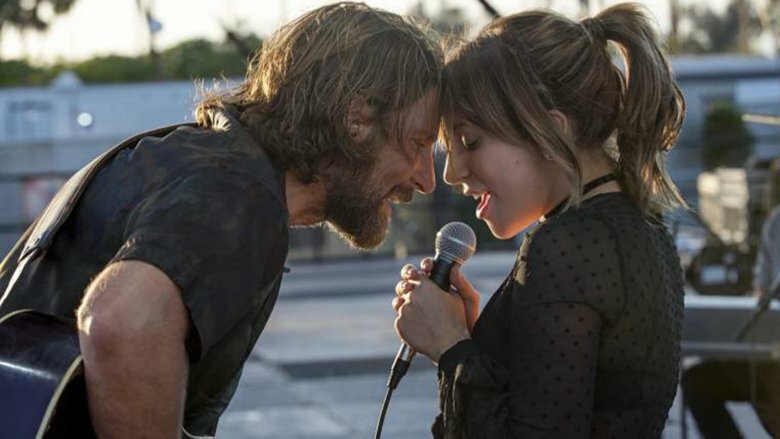 In the final scene of A Star Is Born, Ally introduces herself as "Ally Maine," using Jackson's last name publicly for the first time in the 2018 film. In another obvious homage to her late love, she sings a song he wrote for her, "I'll Never Love Again." But that wasn't the only way she honored Jackson in the film's heart-wrenching closer. Earlier in the movie, Jackson argues with Ally about the lack of authenticity in her pop records and image, including her orange hair, which was largely influenced by Rez and her label. In the film's final scene, Ally's style is toned down to look more like her authentic self. Her hair is brown. In the 1954 version of A Star Is Born, Judy Garland's Esther introduces herself as "Mrs. Norman Maine" in her final scene after Norman's death. That very moment was the same ending and line from the 1937 original. The 2018 remake recreates that closing scene from the '54 film almost shot for shot. Lady Gaga's Ally even takes the same stage at the Shrine Auditorium that Esther did for her tribute performance. Ally's tribute was also a callback to the performance delivered by Barbra Streisand's Esther in the 1976 version of the film. The AV Club points out that both Gaga and Streisand's characters come into their own singing songs written by their late husbands. In this way, their husbands' legacies live on through the success of their wives. 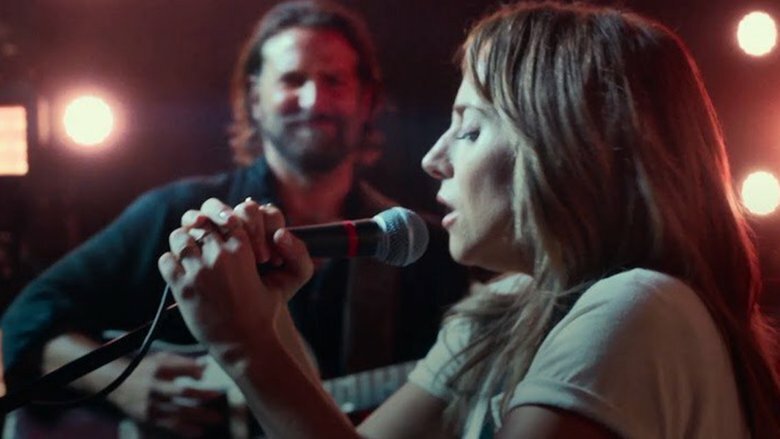 Bradley Cooper told CinemaBlend that the final shot of the film, in which the camera lingers on Lady Gaga's Ally Maine singing on stage alone "is the moment a star is born … The movie ends with the star being born, because she can finally be herself. She's willing to look out to the viewer and say, 'Here I am.'" He added, "Ally at the end of the movie is just starting. What's she going to create is going to be even bigger than what we've seen prior." 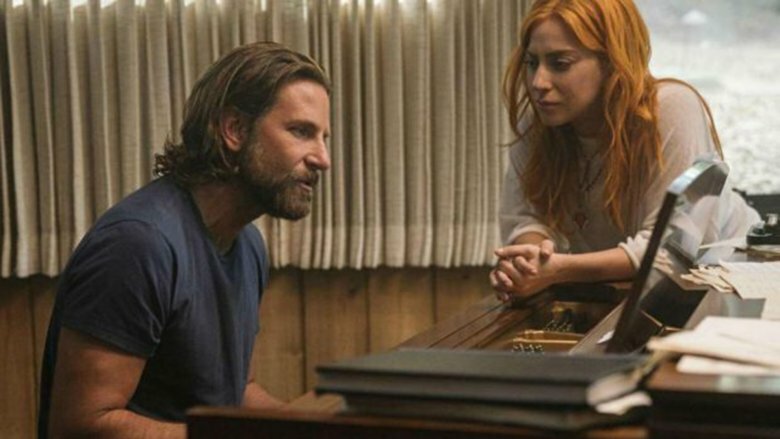 Cooper and Gaga said that while she rarely saw any playback of the movie, he immediately showed her the still of her final moments on stage, in which he'd directed her to look directly at the camera. "This is going to be the last frame of the film, right there," he said. That moment was memorable for Gaga too. "…the human courage to persevere and to move forward. I just thought this was brilliant."